On this auspicious day, let us pray Sri Periyava to bless us with knowledge, health and wealth. Thanks to Sri Ganapathy Subramanian for the share. Sri Jayendra Saraswathi Maharajki Jai! Thanks to Brahmasri Chandrasekara Sarma for FB share…. 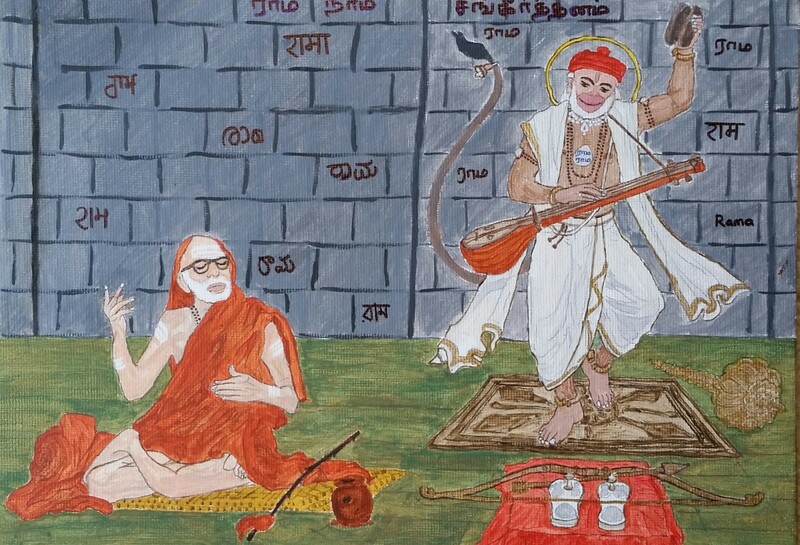 This pose of Mahaperiyava is very unique in Salem – I have not seen any other vigraham in this pose. Hara Hara Sankara Jaya Jaya Sankara! Thanks to Smt Shyamala for sharing this invitation…..It is a great blessing to participate in this jayanthi event in such a wonderful ghosala environment. All are welcome!